Thursday, March 28, 2019 from 7:00 a.m. to 12:00 p.m. 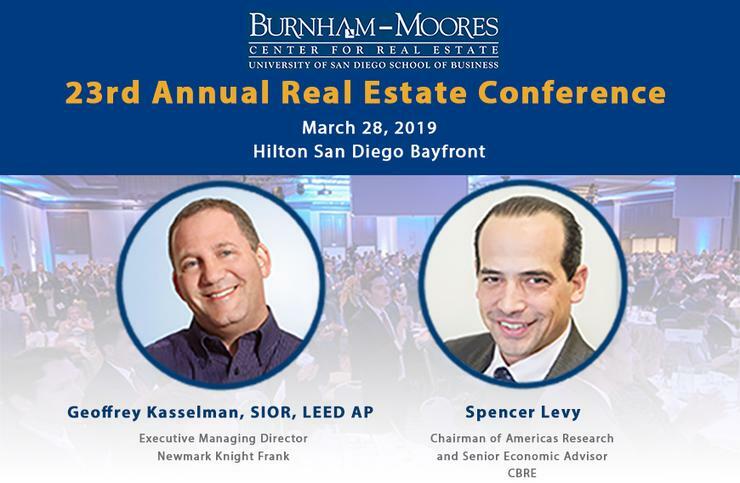 The Burnham-Moores Center for Real Estate will host its 23rd Annual Real Estate Conference on March 28, 2019. This event is our signature gathering of the "who’s who" in the real estate industry in San Diego. The conference attracts more than 600 high-level real estate professionals annually. We are excited to announce a fantastic lineup of speakers. Geoffrey Kasselman, SIOR, LEED AP, executive managing director of Newmark Knight Frank and immediate past president of SIOR Global, will open the conference as our first featured speaker. Kasselman is an innovation-minded futurist focused on harnessing transformative disruption and technology convergence in order to bring actionable opportunities to the commercial real estate industry. His fascinating presentation on "The Exponential Future of Everything" will review these disruptive changes. 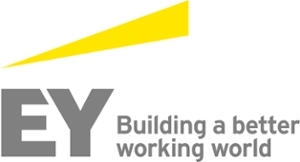 Our second featured speaker will be Spencer Levy, chairman of Americas research and senior economic advisor for CBRE. He will discuss cause and effect of macro real estate trends throughout the country. Following Levy, a panel of municipal leaders from several of the largest cities in San Diego County will discuss current and future land use. The panel will be moderated by David Graham, chief innovation officer, City of Carlsbad. Panelists will include: Gary Halbert, city manager, City of Chula Vista; Mike Hansen, planning director, City of San Diego; Rebecca Jones, mayor, City of San Marcos; and Andrew Keatts, assistant editor, Voice of San Diego. Features a presentation on "Opportunity Zones" by Phil Jelsma, partner at Crosbie Gliner Schiffman Southard and Swanson LLP (CGS3). Features a presentation on "New Technologies and Their Real Estate Impacts" by Taylor Mammen, senior managing director of RCLCO Real Estate Advisors. 11:10 a.m. to 12:00 p.m.
For questions, sponsorship opportunities, or for discounted tickets for USD students and faculty/staff, contact Diane Ice, events and committees manager, at (619) 260-2379. For media inquiries, contact Kimberly Malasky, director of communications and marketing, at (619) 260-4786.